I was hesitant to sell anything to them, but figured it was worth doing for research purposes and to be able to report back to you. After all, they were buying Phillips 66 gift cards at 92%, which is higher than anyone else. On the negative side I would have to deal with a hassle, but on the plus side I could gain a new company to sell to! Around the time of my post about the Phillips 66 cards, Gift Card Zen also did something dirty and cancelled purchases of TGI Friday’s cards. They had been the only company buying those cards at 80%. When Gift Card Rescue saw this, they raised their rates to 80% and I know a lot of people who were cancelled by Zen sold to Rescue. So a lot of people sold to Gift Card Rescue and now it is a week later and they have started to receive the cards. Unfortunately instead of checks in the mail, most people are receiving an email from Gift Card Rescue. Oren’s Money Saver shared the contents of the letter this morning and PDX Deals Guy sent it to me as well. A signed form releasing ownership of the cards to them. Proof of where the cards were purchased including receipts. A copy of your government issued ID. If the address doesn’t match then they also want a utility bill or other document verifying the address. So what happens if you don’t send this information to them? Oh it is quite simple. They will consider the cards donated. Yes donated. Here are their exact words. Please send the requested documents within 30 days of receipt of this email or your order will be deemed abandoned and donated to GiftCardRescue.com on your behalf. Finally, you asked us to send the cards to you. THEN once they are there you say you need all of the following information or you will consider the cards DONATED to you? EXCUSE ME? Whaaaaa? We cannot mail gift cards back without a self addressed stamped envelope from you due to mail liability issues. Appologies! Thank you for the feedback. We are not in the business to scam people. We just can’t hold gift cards forever. I don’t think Gift Card Rescue is trying to scam people, but they should collect all of this information before they ask people to ship these cards in. (Hence eliminating the need to ship them back.) If they feel they need ID and proof of purchase then ask up front. That way people can decide whether they want to sell to them. 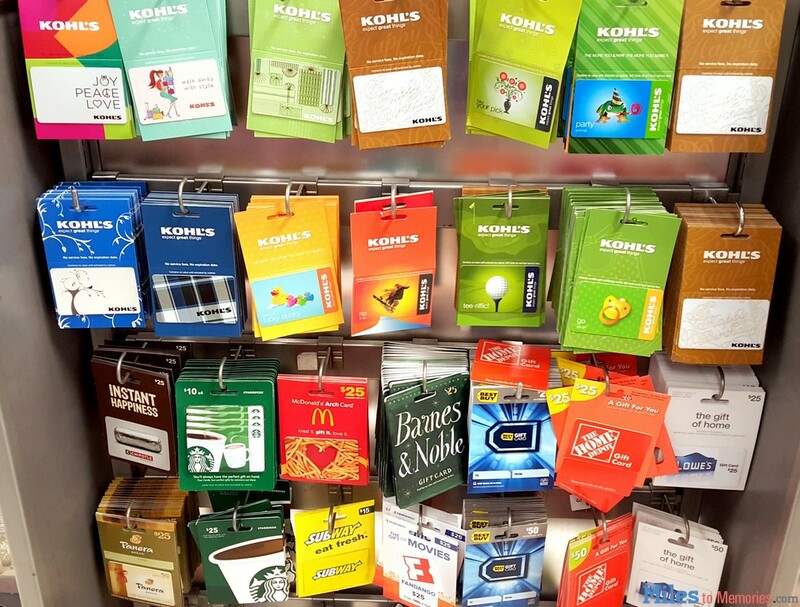 What if I don’t want Gift Card Rescue to have a copy of my driver’s license and receipts sitting in their offices? At this point my only choice is to send that info over or to “donate” my gift cards to them. That my friends is a giant joke. A joke worthy of a .1(1) reseller rating. Once again, I don’t believe Gift Card Rescue is a scam company, but there is no reason I would ever sell to them again. They were not honest about what was required for a transaction and are now basically forcing people to hand over information with the threat of losing donating their gift cards. I’m sure their statements on Twitter are genuine, however the effect is the same. To be honest, I am writing this as someone who hasn’t been paid for my cards, so I do still hope to be able to get my money from them. 🙂 I haven’t received this email yet personally since they are just now processing my cards, however enough people have received it that I felt this warning needed to go out quickly. You have been warned. They may not be technically scamming people but they are intentionally making it as hard as possible to get paid for YOUR cards. I mean seriously how hard would it be for them to require a printed slip that requires your signature acknowledging that you understand and agree to the terms before mailing the cards in? Hopefully not a scam. But definitely deceptive (or at least poor) customer service policies. At the very least, poorly communicated and executed practices. I cannot imagine an attorney general in the state in which they operate would not like to hear about this practice. Oh crap! I just mailed my cards to them a few days ago myself! And yes, it was the TGI Fridays. I’ll be hot if they pull this stunt with me, that is for sure. I’m glad that I did the “right” thing and shipped my gift cards to Cardpool even after I saw that GCR had a much better rate. I have sold twice to Cardpool and both times my TCB transaction tracked but it showed $0 as payable. Has anyone else had this problem with Cardpool? Cardpool only pays cb on the first tracked $1,000 of combined purchases and sales. This policy goes for all cash back sites, as it is a cap imposed by Cardpool. So if it’s 4% cb then lifetime your max is $40 you can earn across all combined cb portals. That is definitely not the reason. As I said, on my only 2 sales ever to them it showed up as $0 payable. I did receive cash back from them 1 time for buying a $10 gift card a couple of years ago. I’ve had the same problem; my Cardpool sales have never paid out via TCB. And for the record (and to address Anthony’s point), I haven’t anywhere close to $1000 worth of business with Cardpool. Interesting. You’re including both purchases and sales? I’ve read elsewhere online of people having issues with Cardpool and cb but I assumed it was because they exceeded their lifetime cb and weren’t aware of it. I’ve had issues with raise.com in the past and tracking. It seemed to happen when multiple purchases of the same denomination were made. For Raise.com, they don’t pay out cash back on purchases under $20. Not sure if selling is the same. I had some issues with Raise orders not tracking and the portal I use (ShopAtHome with a 110% match to TCB) investigated and found this out. Since ShopAtHome’s terms didn’t include this info previously, they updated their terms and credit my account for the cash back I should’ve gotten. Am mentioning in case your Raise issue was due to this! Unlike TCB, they will investigate Cardpool non-tracking claims. as well, but my Cardpool transactions always track through ShopAtHome. With the 110% match, I just stick with them. I see this term on ShopAtHome: “Get 2% Cash Back and 50 ShopGold Rewards on your Cardpool purchase through ShopAtHome.com.” That implies that only purchases earn cash back. What makes you think sales to Cardpool do? Top Cashback lists Cardpool as paying 4% for the sale of gift cards. Yes, I am aware that TCB claims to pay for sales. I am the one that originally complained about having $0 as “Payable” for the Cardpool sale. My point was that Alice implied that I should have used ShopAtHome for my Cardpool sale. ShopAtHome doesn’t pay for sales so I would have been in the same situation as with TCB not paying. The only difference is that ShopAtHome doesn’t claim to pay for sales. Did your sales track on TCB’s site? Mine did and even have the correct amount that I sold. It shows $0 as payable though. That’s what makes it even more infuriating. I guess I feel 1% better now knowing that I’m not the only one that this happened to. Mine rarely track and the few that have also show as 0% payable. Cardpool has never paid out the portal cashback on my sales. It tracks but they change the amount to $0. They only paid once, for a $20 GC purchase. The reviews on TCB indicate many others have the same problem. I emailed TCB to inquire about this yesterday. Did you ever notice how on the TCB site that the amount you sold to Cardpool shows up as “Purchase”? My theory is that Cardpool DOES NOT pay for sales at all but TCB isn’t aware of this. I have never sold giftcards after purchasing them, but this is very shocking. Tell me now if you don’t think they’re a scam company. BTW, any company that changes the deal after you’ve fulfilled your part of the contract is a scam. I write their State’s AG and not send them a damn thing extra. All I am saying is that comment is not in relation to what is happening now, but instead is something that happened quite some time ago. My comment is in relation to what is happening now. Now I become a victim that being scammed by gift card rescue(GCR). After GCR received my $4700 cards for sell, they sent me an identical email to choose “send that info over or to “donate” my gift cards to them”. Even though I chose “send that info over”, I ended up receiving an empty envelop. Filed a complain to CFPB with no solution and am filing complain with AG of Maryland in the hope to get help. The last step would be go to court. I just want to warn everyone do business with them at your own risk so you don’t have to suffer the lose I experenced with GCR. Good luck to everyone. Feel free to contact me if you want to join a class action lawsuit. @thehawk75 could you PM me what you are complained about GCR to their State’s AG (in Maryland)? I commented here before but after much thought, sent the following email to Gift Card rescue. I am hoping it helps my situation. I have heard nothing from the company so far either about receiving my cards, or about wanting more information. I suspect that they are scammers now though and am trying to mentally prepare myself to face a complete loss on my cards sent in. Three days ago I mailed off 5 TGI Friday’s gift cards to you folks after going through all the things on your site. Order code is REDACTED. There was NO indication on your site that you folks would do this or ask for this information. IF this article is correct, and IF you do this to me, I will do what I have to in order to get my cards paid for, but also, I will most definitely file whatever I need to with the Attorney General’s office for the state of Maryland. I entered into this deal in good faith and this is a heads up for you people to do what your site said and not add additional requirements after the cards have been mailed to you and they are in, or will be in, your possession. I am not waiting to see what happens, I am advising you now to either do as we agreed via your web page and once you have received the cards, to finish our transaction or return the cards to me at your expense. I will be awaiting more information or advisement that my check is on the way after receipt and confirmation of the validity of the gift cards sent. If anyone gets good info from GCR or news they have changed their policies, please post here. Thanks. This warrants reporting them to CFPB. I’ve had good experience with CFPB because I know they contact the company/bank/merchant I complained about. Once the bank/company received the complaint, they sent me email and/or snail mail asking me how they can make it right. Prior to this, they ignored me but after receiving the complaint I filed, they decided to make it right. Now it looks like I would have been better off doing the “wrong” thing and selling my gc to Gift Card Rescue as it appears that Cardpool ended up screwing me over even worse than GCZ did. Has anyone ever receive this message? What could it mean? We recently received your gift card but our processing center encountered an issue while processing your card(s). Our risk assessment team has determined that we aren’t able to accept the transaction at this time. We have cancelled the transaction and are returning the gift card(s) to you. Unfortunately, we’re not able to disclose any further specifics regarding this process. I just checked GiftCardWiki. Cardpool is now at 70%. Could they have had the nerve to cancel my order (after receiving the cards) because of that? If so, that is MUCH worse than what GCZ did. Has anyone ever heard of CardKangaroo? I am tempted to sell to them for 80%. Would it be safe to sell to them now even before receiving my cards back? I am worried their rate will go down too. Shawn, Just to let you know. I mailed in 5 TGIF cards to Gift Card RIPOFF (Rescue) with their agreement of payment at $200 for $250 in cards. OVER two weeks passed, then they send an email that they are still waiting for cards. I call them and they say to be patient, they might be slow processing or something, blaming the mail for much of the problem. I did not believe them. Today, I get an email telling me they lower their offer by $37.50! Or to decline and they will send them back by regular mail. This, after a, what I though was an agreement, to buy at $200. I decided for hassle reasons to just take the deal, but they are scum, and not to be trusted and I advise people to never deal with them. Same thing here. They basically matched their current rate of 65% (which is less than the exchanges average of 70%). Once I get my cards back they’re nonexistent to me. They aren’t the only ones that pull this stunt. This happened to me with Cardpool except they just mailed my cards back instead of giving me a lower offer. I haven’t received them yet and in the meantime all or most of the sites lowered their payouts. I just want to ask, has anybody gotten any payment from giftcardrescue? I got in on the TGIF deal as well, and they said they got the cards and sent me a check. That was two weeks ago. I received nothing in the mail. Tried to contact them but their voicemail is always full, emailed and no response. WTH was that????? Has anybody get paid or been able to reach a person? Thanks a lot! I sent them cards a few weeks ago. a DAY later, I read about their demand for info and I wrote them an email in which I said a deal had been made, I would not provide more info and would inform the state’s Attorney General if they tried to welsh and insist on info they did not need or request originally. Well, they did by cutting their offer which in the fine print they were entitled to do. This after over 2 weeks of we do not have your cards. I decided to take the heat as other card buyers had cut their prices as well (Cabela’s cards after the eBay deal). I then also wrote when the check kept taking time and being very insistent and calling even. I finally got the check by certified return receipt mail. Deposited it immediately and am now waiting to see if it clears. I think it will because I also told them that a bounced check would go straight to their state’s AG. I will never do business with them again. NOR with Gift Card Mall online as they did me dirty on some MIA cards and I am told as of today it will take a couple more weeks, OR MORE for my card to get credited. I then checked Reseller Ratings and see they get a ONE out of TEN. I will always check them first from now on! This is what I got today from them, obviously just a template that they paste to everyone. I’ll ask them to re-issue the check and it’s safe to say I’ll NEVER do business with them again. “Please allow up to 14 business days to receive your payment. If you have not received your payment by the 14th business day please contact customer service so that we may assist you with getting your payment reissued. If you have any additional questions feel free to email customerservice@giftcardrescue.com or reply to this email. Sold them some Zappos cards (I thought). Did the back and forth with the check’s in the mail (OF COURSE IT WASN’T). Got an email from customer service there saying that the physical Zappo’s gift cards could not be used because they were linked to another account and to send a SASE envelope to get cards back. Kicker is, I took a picture of the card before I sent them in. Went to spend money on ANYTHING on Zappos to recoup my losses basically. Was told it was linked to a “Laura” – I don’t know ANYONE named Laura so guess they are going to have to deal with getting her money back. Zappo’s of couse, since it’s an awesome company, placed my order for me since I could prove they were my gift cards. Lesson learned: 1) Never use giftcardresuce 2)Zappo’s is awesome, 3) Don’t buy Zappos gift cards – just merchandise, since their gift cards are a little in the gray area (can’t transfer easily or check balance online). I am also getting the run-around. Sent in a card on December 24, 2015. They sent me an email on January 22, 2016 to say they just received it. On January 27, 2016 I got an email saying the check was in the mail (it wasn’t). I called on February 18 – 3 weeks later as instructed, and was told that it would have to be reissued but they would send me an email and I had to respond to that email with my mailing address, which they already had. No email ever came. Today I called again, was hung up on twice. Third time I talked to Benjamin who again told me I had to wait for an email and respond. When I objected, he instantly sent me an email. I responded. I’m beginning to think though, that I will never get the money from my card. This company cannot be trusted. Just a follow up to my comment left in February. I finally got my money 6 months after sending the card and yes, the check cleared. I will not do any further business with GCR however, because I don’t want to have a similar or worse experience next time. I am in your boat now. It has been 2 months. How did you get them to send you the money? Thanks for this blog/post. Was about to sell them a large-amount gift card. Will not do now! About 5 days ago, I signed up to sell a gift card to GCR. But once I pressed submit, I saw a cryptic message or better yet their recommendation on how to send them the card. The message said I should send the card in a small box because envelopes sometimes get ripped open and they are not responsible for gift cards lost in the mail. It just struck me as odd. I’ve been receiving mail for at least 17 years, have never received ripped envelopes in the mail. So I’m wondered what type of shady facility they run that that happens, and the added expense of tracking. So I decided not to sell and to use the gift card myself instead the next day, and GCR used $10 of the gift card! Is this sometime of pre-processing fee in case I back out? Granted the card was originally only for $40. But I hadn’t sent the physical card or any documents to GCR and they still used my card. To me that is a scam and I will never use them again. Sellers beware and from what I’ve read about them on Twitter, buyers beware as well..